The species we all know. Naturalizes very easily (especially in moist soil that supplies sufficient nutrients) in either a sunny location or one with some shade. 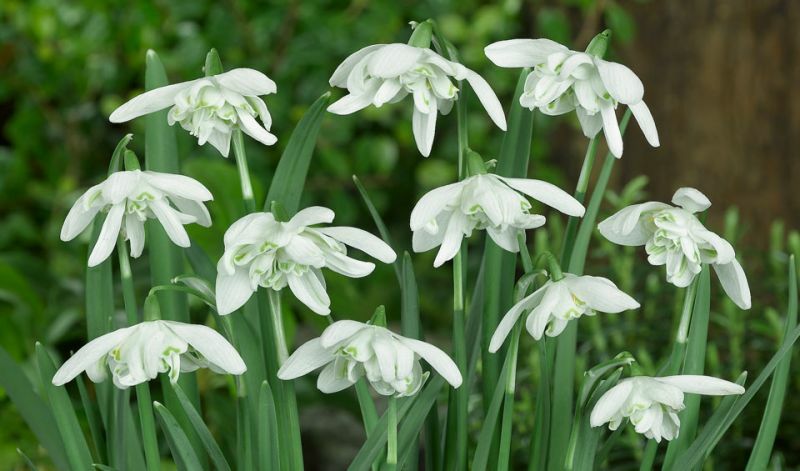 The flowers are pendulous and bell-shaped; the leaves wither six weeks after the flowering period (mow around them for that long when planted in the lawn). 'Flore Pleno' is a beautiful double-flowering variety that is gaining in popularity. (Besides the species itself); 'Flore Pleno' (white, double flowering) and 'Viridi-Apice' (white with green).